Maryland Gov. 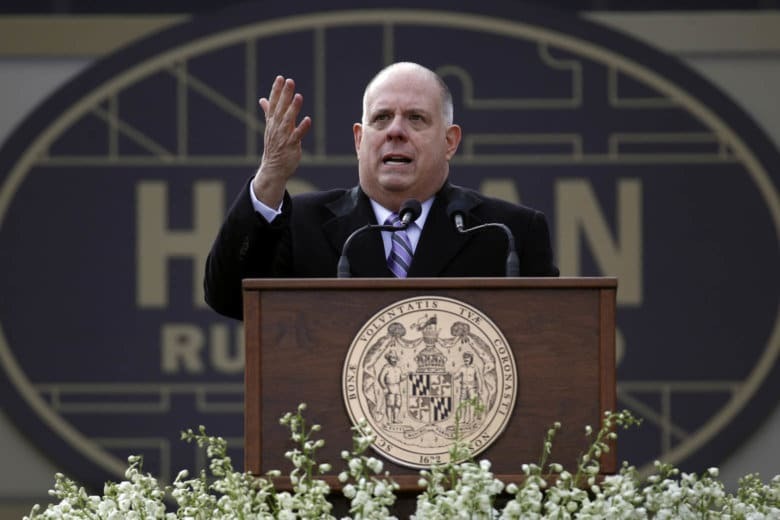 Larry Hogan did not affirm that he will run for national office in 2020, but he is positive on the odds of sports gambling coming to the state. ANNAPOLIS, Md. — Gov. Larry Hogan is the first Republican to win re-election in Maryland since 1954. He has approval ratings in the high 70s, and that’s in a state where the number of registered Democrats still outnumbers Republicans by nearly 2 to 1. So, it was no surprise that Hogan was asked about exploring the idea of running for higher office. At Hogan’s inauguration, former Florida Gov. Jeb Bush referred to Hogan’s popularity and contrasted Hogan’s reputation for bipartisanship with the rancor in Washington politics. The next day, at an announcement on Hogan’s proposed FY2020 budget, he was asked directly: Will he run for president? A follow-up question was asked by another reporter: Should Marylanders assume he will serve the entire four-year term as governor? At the same event, Hogan was asked about the likelihood of the Maryland General Assembly finding a way to fast-track sports betting in the state.